Seven-year-old Quinn Gerlach got a gift certificate from his grandpa a few years back — not for a toy, a book or a game. It was for a kidney. Gerlach was born with a single kidney, instead of the usual two, and it doesn’t fully function. So, one day, he may need a transplant. Quinn’s grandfather, retired Tulare County Superior Court judge Howard Broadman, 68, of Visalia, Calif., learned he has the right blood and tissue types to be a donor for Quinn. But Broadman feared he might die or be too sick to donate a kidney when it was needed. The former judge tried to think creatively, as he had on the bench — where he was known for unconventional and sometimes highly controversial sentencing. He came up with what might be called the delayed kidney swap: He gave his kidney three years ago to Kathy DeGrandis, a retired airport manager in her 50s, at Ronald Reagan UCLA Medical Center. In exchange, Quinn was given a voucher that gives him priority to receive a live donor kidney, provided a match can be found when a transplant is necessary. The idea caught on. Now about 30 hospitals around the country participate in this voucher program, administered by the National Kidney Registry. At least 21 kidneys have been donated by people in the U.S. in exchange for vouchers, according to the registry. More than 93,000 people await kidney transplants in the United States, and each year 4,500 people die before they can get one. Most patients seeking a transplant join the long waiting list for kidneys from deceased donors. Some are able find a living person willing to donate a kidney. Live donor kidneys are most desirable — the organs last up to 12 years longer — but are less available. Another limiting factor for a successful transplant is that the donor kidney must be a good “match,” carrying a compatible complement of genetic markers with the patient in need. To address that problem, doctors more than a dozen years ago devised a process known as donation “chains.” If a friend or relative wanted to donate to a patient but was not a good match, he could donate to another kidney patient in the same predicament, with a willing but incompatible donor. Each transplant patient in the chain must have a donor who matches someone who currently needs a kidney in the U.S. and is willing to donate to that stranger. 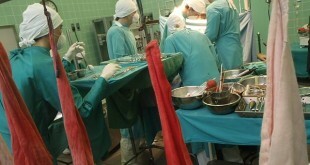 Hospitals and transplant centers have matched up to 35 pairs in such chains. Broadman, the Visalia grandfather, took that idea further, proposing that donors be able to give their organs in advance — essentially to save a person today so that a relative might be saved down the road. “Sometimes [a patient] may be heading toward transplantation in the next few years, but it would be more convenient for a friend or family member to donate a kidney now,” said Dr. Jeffrey Veale, a transplant surgeon who initiated the voucher program at UCLA. Maybe the donor is planning a pregnancy, travel or a new job or is worried about growing older — any of which could prevent a donation later, Veale said. Arranging the transaction early takes some — but not all — worry out of the situation. Another possibility is for one compatible parent to directly donate a kidney to his or her child now while the other parent donates to a stranger for a voucher. That way, if the child’s first donated kidney fails — not uncommon — a second kidney might be obtained quickly. Broadman’s idea was taken up by the National Kidney Registry, one of two registries in the U.S. that matches patients, through computer algorithms, with potential live donors. The registry works with participating hospitals such as UCLA, alerting them when a voucher holder matches a live donor in their system. Experts and ethicists underscored that such surgeries can put donors at risk without benefiting their loved ones. 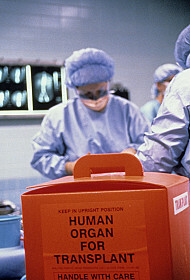 Christina Strong, an adjunct professor of health law at Rutgers in New Jersey who has worked extensively on health laws and policies for organ donation, says it has to be absolutely clear to everyone involved that having the donor give a kidney right now in no way guarantees that a compatible kidney will be found later for the intended recipient. Contracts with donors contain a disclaimer to that effect. UCLA officials say they have received dozens of inquiries from potential voucher donors, as well as from hospitals around the country, that want to set up voucher programs. Additional participating hospitals include those at UCSF, Georgetown, Emory and Cornell. “We solve this problem one kidney at a time,” says Dr. Chris Freise, interim chief of the transplant division at UC-San Francisco Medical Center, which participates in the voucher program. Freise and other kidney experts and advocates say the program also gives a boost to patients who don’t have a potential live donor or voucher. That’s because each time someone gets a live kidney, that almost always moves someone else up a notch on the deceased donor list. Some researchers working on the holy grail of kidney transplantation, a bioengineered one, also are rooting for the success of voucher transplants. “We’re a decade or more from being able to repair, restore or replace a kidney, so novel ideas like the voucher transplants are critical,” says Dr. Giuseppe Orlando, a transplant surgeon at Wake Forest Baptist Medical Center in Winston-Salem, N.C. The voucher is earmarked and issued to a specific person, who is the only one who can use it, making it unlikely to be bought or sold. The recipient is required to provide U.S. government identification before any transplant can occur, and his or her blood and tissue types are checked to ensure they match what’s in the medical records. Broadman’s grandson hasn’t had to use his voucher yet. Maybe he never will. But the retired judge has no regrets. Months after his surgery, he met with the recipient, DeGrandis, at a barbecue the two families arranged. 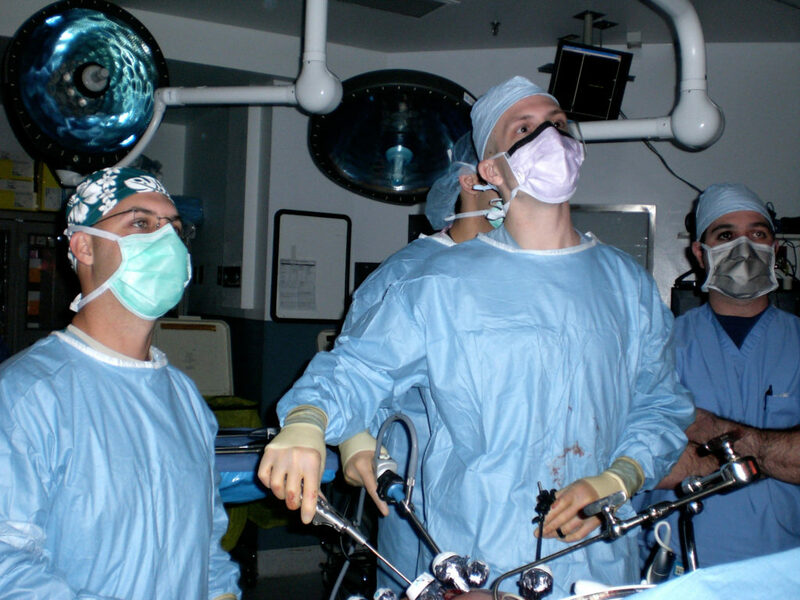 “How has your life changed since the transplant?” he recalls asking DeGrandis. At that point, Broadman said, his eyes welled up.